Killing Jesus, the National Geographic Channel's film production based on the book by Bill O'Reilly and Martin Dugan, lives up to its title. Both the book and the film are intent on giving a historical perspective on the person of Jesus, the context and the motivations behind the man's life and, especially, his death. There are some unique characters rarely seen in other films about Jesus. The prophet Isaiah is seen in a dream, tormenting Herod with woes of God's wrath upon him. Killing Jesus gives special emphasis to Jesus's family, especially his brother James, with scenes with Jesus and his family around the dinner table. I was really impressed with the inclusion of Joanna, the wife of a servant in Herod's court, found exclusively in Luke's Gospel account (Luke 8:3, 24:10). Nicodemus, the Pharisee, is seen following Jesus and standing up for him in the priestly court, and John the Baptist's life and death are also key moments in the story. Killing Jesus centers on the various characters responsible for the arrest and death of Jesus, like Caiaphas the high priest, Pontius Pilate and his wife, and Herod Antipas and Herodias. Each had their own reasons for disliking Jesus and participating in his death, and the film explores their relationships and motivations. Killing Jesus highlights the politics behind the death of Jesus. In other films, it seemed almost cruel or unnecessary to kill Jesus--he's just a calm, nice guy who heals sick people, so why bother arresting and crucifying him? Killing Jesus shows Jesus as a threat to the political system and common good. Caiaphas often talks about maintaining order, that getting rid of Jesus will keep people under control. You can see his reasoning in moments where Jesus is declaring he will destroy the temple and rebuild it in three days, or when he turns over the tables of the moneylenders, inciting mobs in both cases. Haaz Sleiman's Jesus is deeply human--he's highly emotional and passionate, even moody and impulsive. He often seems unsure, like he's improvising or reacting to the situation at hand. This is not a calm and collected Jesus, but neither is this a fully confident Jesus. Unlike the angry political revolutionary Jesus of Pasolini's The Gospel According to St. Matthew (1964) or the blue-eyed melodramatic Messiah of Jesus of Nazareth (1977), this is an everyman Jesus, an ordinary guy somehow thrust into extraordinary circumstances, telling others of God's love as he figures it out himself. He is often angry and frustrated, and frequently storms out of situations in order to be alone to brood, calming himself through prayer. There is also a lack of miracles in Killing Jesus. The miraculous scenes are all shown as being coincidental or in the realm of scientific possibility than caused by spiritual power, thus emphasizing Jesus's humanity over his divinity. This is Jesus the man, not Jesus the son of God. 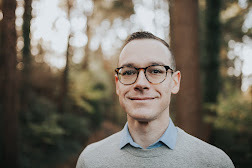 One can see in Killing Jesus how the people could have elevated him to Messianic status, but he rarely claims this for himself, and almost seems surprised when Peter confesses his belief in Jesus as Christ. 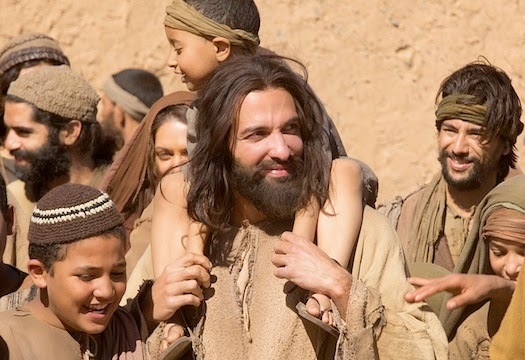 The film emphasizes Jesus's teachings, mostly about loving God and loving one's neighbor, not judging others, and looking into your heart to find the kingdom of God. A particularly moving scene was Jesus's walk to Golgotha as a Jewish temple guard berates him, trying to get him to curse God. Jesus continues to tell the man that he loves him and forgives him, and the moment of redemptive love is affecting. Overall, the production and filmmaking was strong, particularly some of the settings, which were filmed in Morocco and have a largely non-white cast. This felt like being back in first-century Jerusalem. Having a Middle Eastern Jesus (Sleiman is a Muslim who was born in Lebanon) and his followers gives the film an authentic tone, though I'm still unsure why Biblical and sword-and-sandal films frequently employ British actors and accents for their characters. Sleiman's performance is good, even great sometimes, and Kelsey Grammer as Herod and John Rhys-Davies as Annas stand out as excellent supporting cast. There is one significant negative criticism I feel obligated to address: there is no bodily resurrection in Killing Jesus. There are no resurrection appearances; Jesus is never seen again after his burial. The tomb is shown as empty when Mary and the other women attend to the body, but the scene ends without Jesus appearing or angels addressing the group. There is no scene showing Mary Magdalene tell the disciples about the empty grave. The final scene shows Peter praying in his fishing boat after a miraculous catch of fish akin to John 21, feeling some sort of personal spiritual conviction, then telling the other disciples "he has come back to us!" Apparently, he means this in an invisible, spiritual sense. The lack of a bodily resurrection is a huge disappointment for me, and can't be ignored, either from a historical or a spiritual perspective. While the resurrection cannot be proven in an Enlightenment-minded scientific sense, it certainly has strong merit as being a historical reality. Smarter theologians and historians than I have written about the historicity of the resurrection of Jesus, so I would encourage the reader to explore the works of N.T. Wright and J.D.G Dunn, scholars who have written extensively about first-century Judaism and the historical Jesus. To choose to not include the resurrection is also poor storytelling, akin to changing the ending of a beloved and well-known narrative. What if Dorothy ended up staying stuck in Oz because the ruby slippers didn't work? Or what if Harry Potter had just remained in a dead state instead of coming back to life to defeat Voldemort? What if Luke missed with the proton torpedos, the Death Star remaining intact (or perhaps being destroyed later, but in a plausible and reasonable manner without the involvement of that silly Force)? How would that change the story and the audience's response? Films about Jesus don't necessarily have to include the resurrection--the upcoming Last Days in the Desert centers entirely on Jesus's temptation in the wilderness, and Scorcese's controversial The Last Temptation of Christ ends with the words "It is finished!" while Jesus is still on the cross--but a film that focuses so heavily on Jesus's historical death and burial might be obliged to offer resurrection. Even Pasolini, a Marxist and atheist, respected the historical weight of the Jesus narrative to include the bodily resurrection in his version. Killing Jesus's interpretation of a "spiritual" resurrection is, as far as I can tell, unique in the pantheon of Jesus films. Killing Jesus wants to show the circumstances behind how Jesus, an ordinary Jewish man caught up in his own mythology, died at the hands of the political powers. As such, it is rather effective in its pursuits. However, to paraphrase the apostle Paul, "if Christ has not been raised, our film production is useless and so is your faith" (1 Corinthians 15:14). Killing Jesus premieres on Sunday, March 29 on the National Geographic Channel.